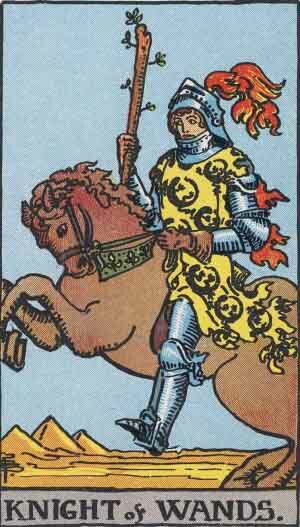 Knight of Wands: The action hero. Saves the day. 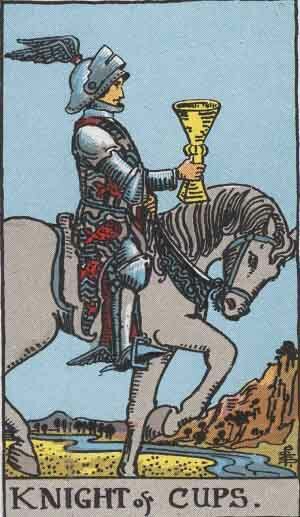 Knight of Cups: The romantic. Your ideal lover. 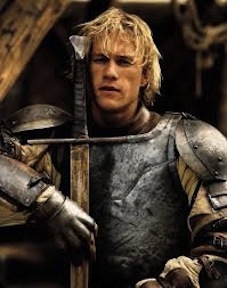 Knight of Sword: The idealist fighting for justice. Lawyers, journalists, politicians (in theory). 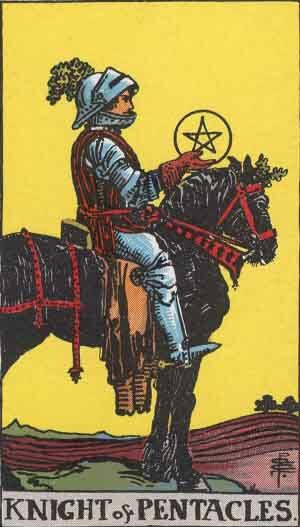 Knight of Pentacles: Gives practical assistance. Builds stuff for you. 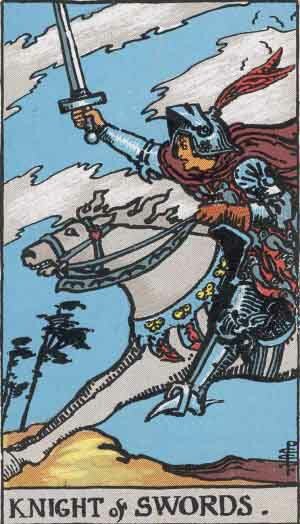 This entry was posted in Cups, Pentacles, Swords, Wands and tagged knight of cups, knight of pentacles, knight of swords, knight of wands by tanlee3. Bookmark the permalink.